Meet Matt Rosenberg, the lighthouse keeper for Nubble Light in York. The Duck of Justice gained notoriety when some of his Facebook photos went viral. But has all the fame gone to his beak? We find out in this exclusive interview with the Bangor Police Department. 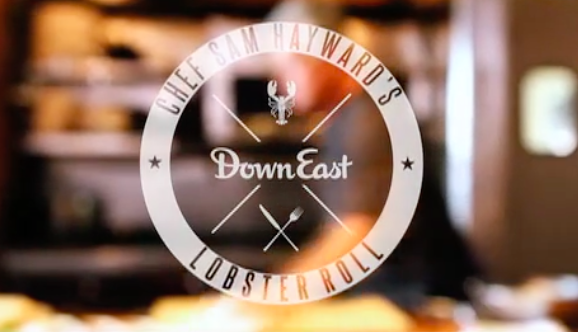 Chef Sam Hayward welcomed us into his iconic Fore Street Restaurant in Portland and showed us how to prepare his favorite lobster roll recipe. The Summit Project has created a living memorial to fallen Maine service members who have given their lives since September 11, 2001. Reporter Shannon Moss visits the project’s headquarters in Portland and discusses its mission with founder Major David J. Cote, USMC. Watch a time-lapse video by Irvin Serrano of the Stephen Phillips Memorial Preserve as seen from the Height of Land.  Follow Down East on Instagram! Join us on Instagram for daily photographic updates from the Down East team. Reporter Shannon Moss visits the warehouse of this company featured in our April issue, and finds out how this company became one of the country’s largest producers of clerical vestments and liturgical goods. Photographer Lewis Hine made two trips to Maine at the beginning of the twentieth century to expose the reality of child labor. 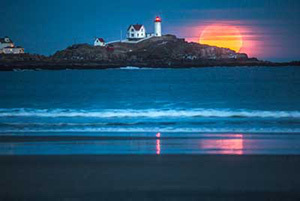 See a slideshow of his Maine work. To UMaine grad students, Big Night in Bridgton is a big deal. It’s the end of an era for the Black Bridge which separated Brunswick and Topsham and spanned the Androscoggin River. But thanks to modern technology, you can take a virtual drive across this bridge built in 1910 whenever nostalgia hits.